Fashion is always evolving and what might be hot today may just be out tomorrow. 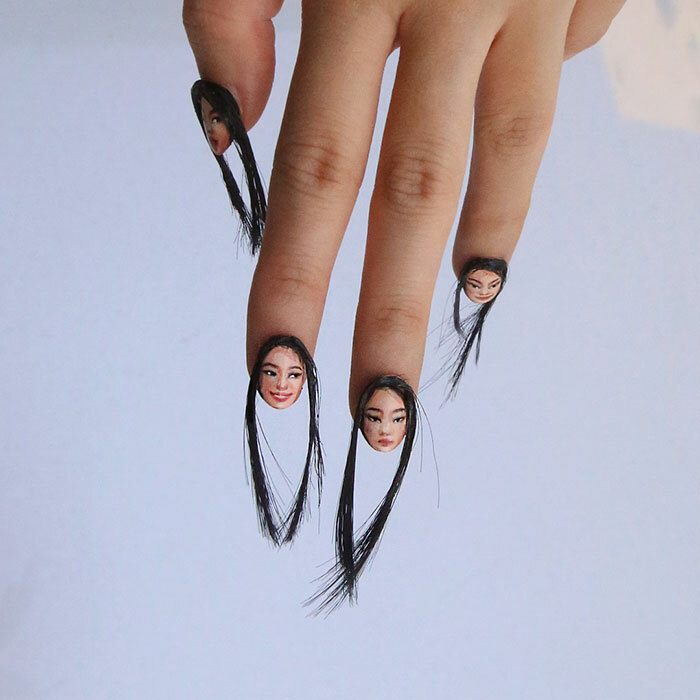 But in the quest to be unique and quite different, sometimes fashionistas end up thinking way out of the box and come up with something not only weird but also downright outlandish and oddly disturbing. 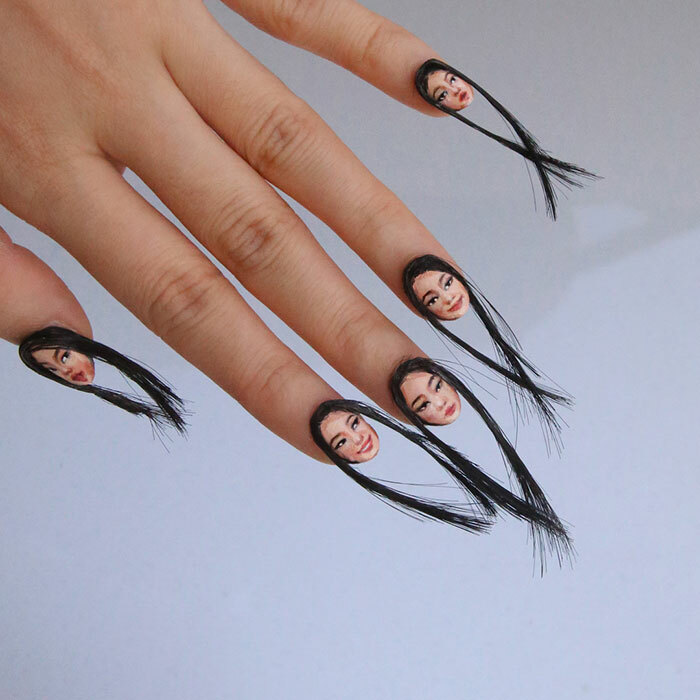 While we are still trying to get our heads straight around squiggle eyebrow and lips, here’s another eerie fashion invasion to baffle our minds. 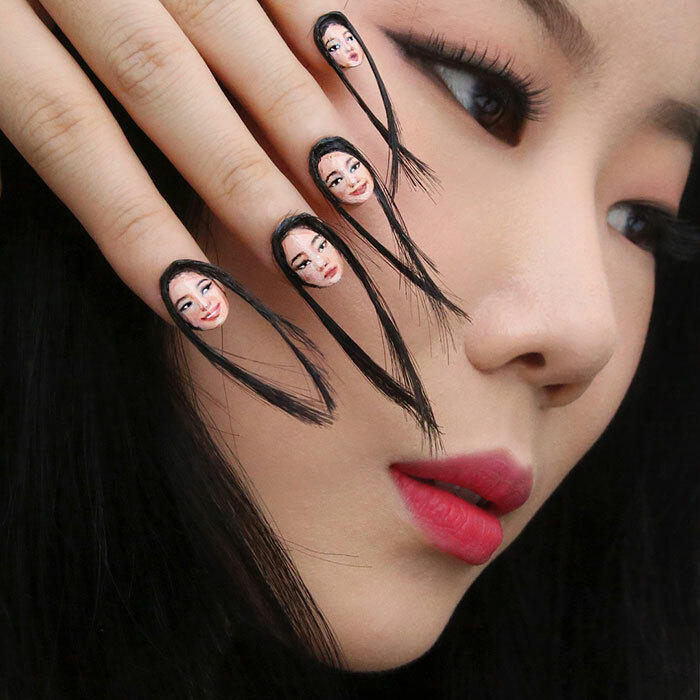 They were created by Dain Yoon a Korean visual illusion artist with almost 200k Instagram followers. 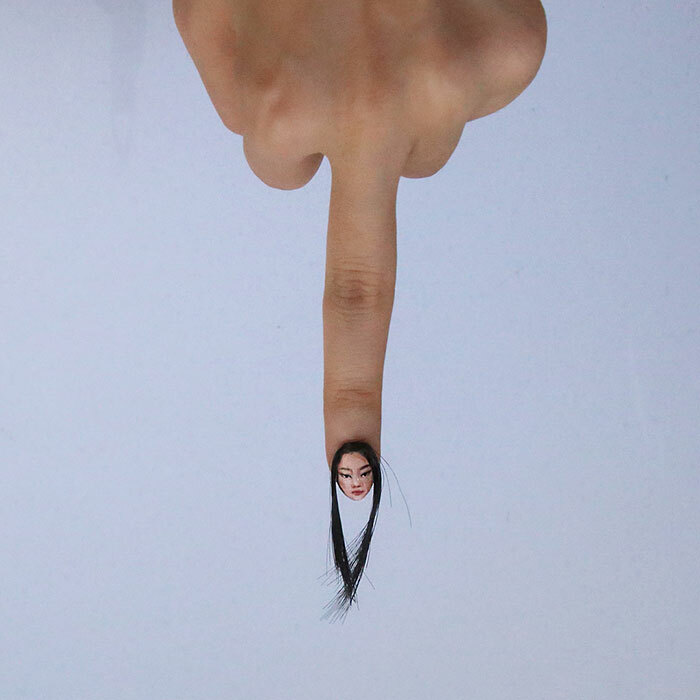 She known for making mind-bending body art, but her latest creations might just be her most bizarre yet. 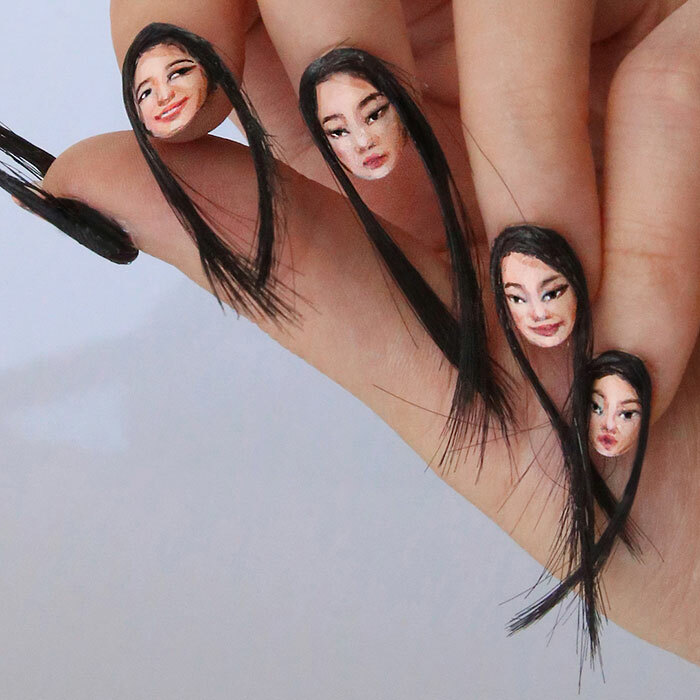 Not only has she painted five little portraits of herself onto her fingernails; she also added hair to make each of the faces extra lifelike! Would you give it a go? 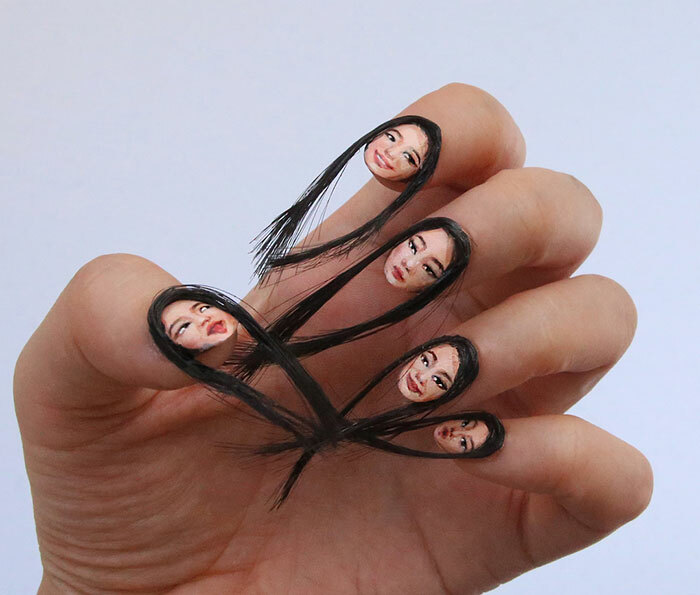 Let us know in the comments below, and if can’t get enough of hair nails then click here for more.